Caspar van Wittel – private collection. 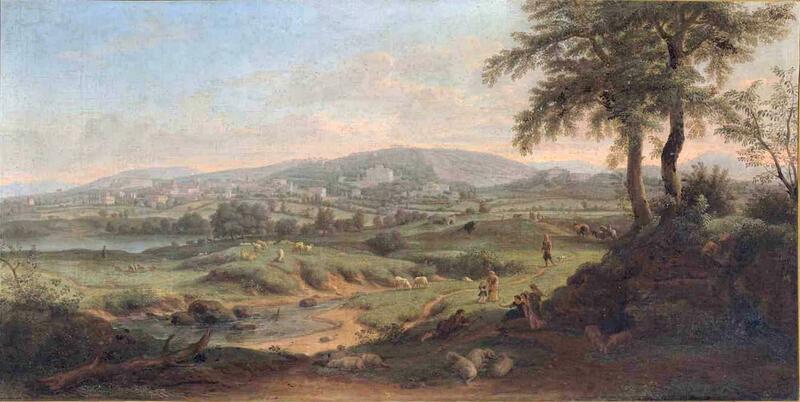 Title: Frascati, with Shepherds and Their Flock Resting by a Stream in the Foreground, Other Figures on a Road Beyond. Date: c. 1685-1710. Materials: oil on canvas. Dimensions: 81 x 121 cm. 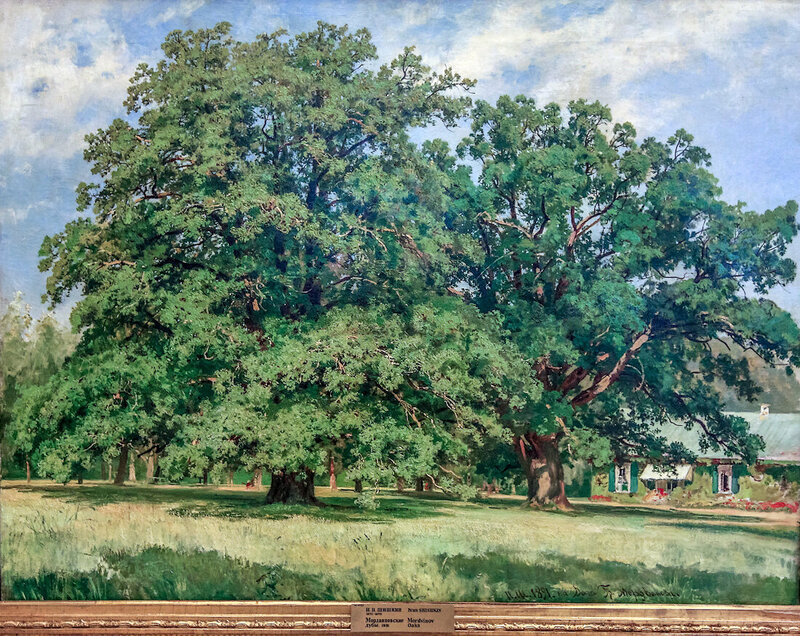 Sold by Christie’s, in London, on July 9, 2015.Source: https://www.blouinartinfo.com/galleryguide-venues/289546/past-results/119335. I have changed the light and contrast of the original photo. Caspar van Wittel – Galleria Colonna. 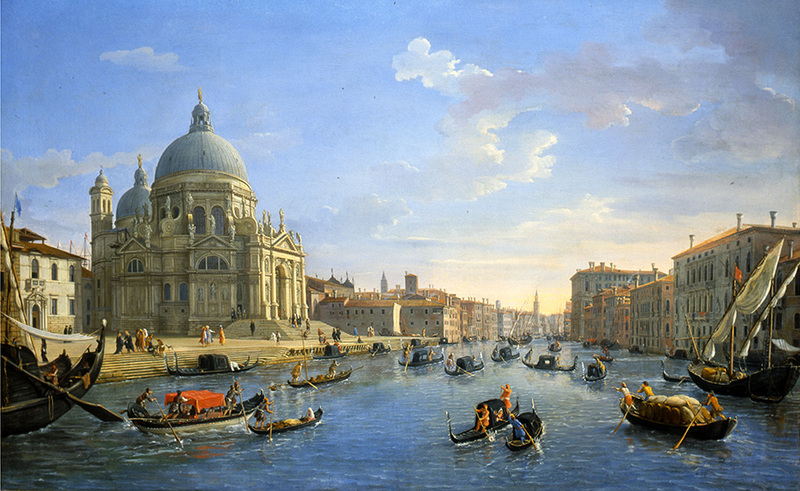 Title: L’ingresso del Canal Grande con la chiesa della Salute. 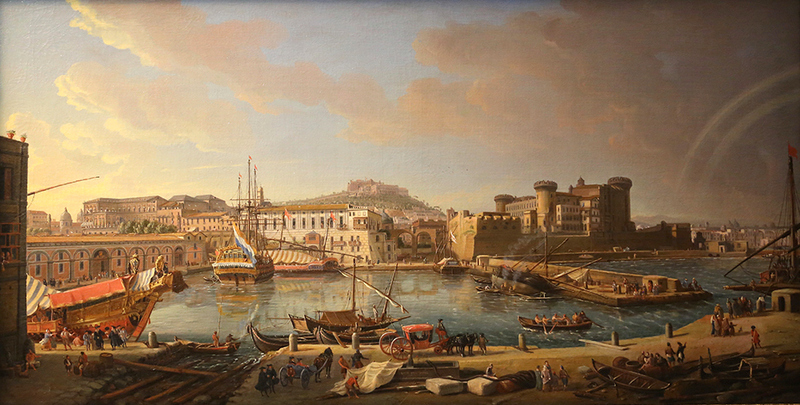 Date: c. 1700-1710. Materials: oil on canvas. Dimensions: 123 x 74 cm. 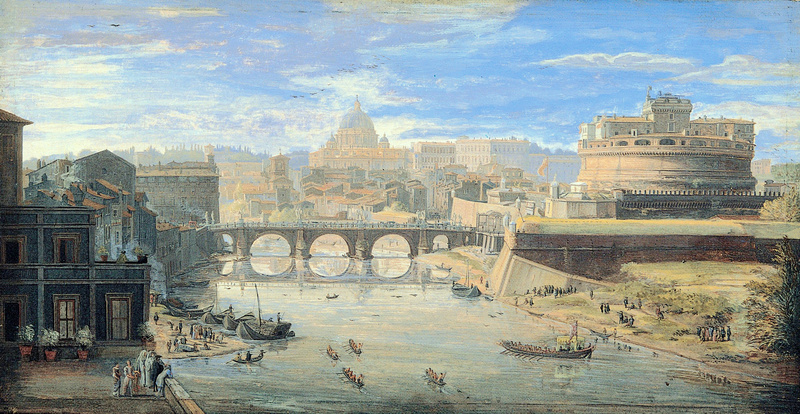 Source: http://blog.cambiaste.com/wp-content/uploads/2016/02/gaspar-van-wittel-ingresso-del-canal-grande-con-la-chiesa-della-salute-olio-su-tela-roma-collezione-principi-colonna.jpg. 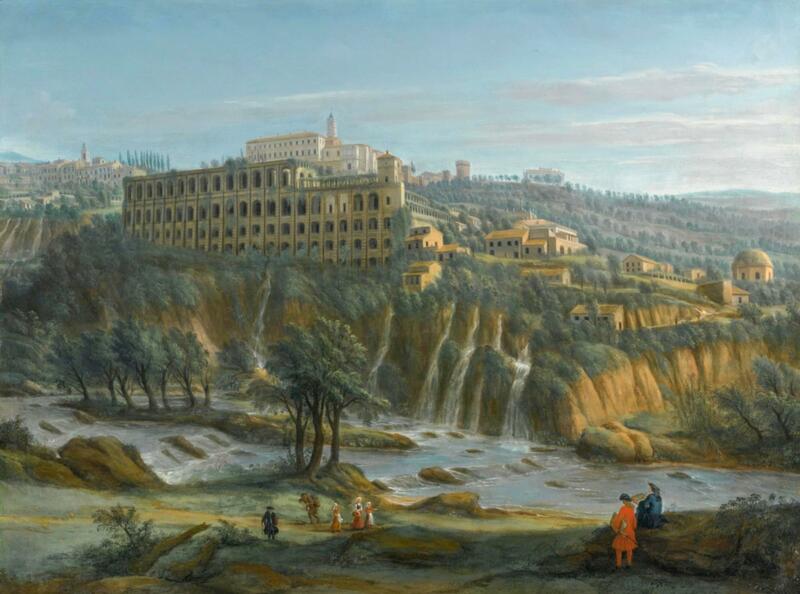 Caspar van Wittel – Palazzo Pitti (Galleria Palatina e Appartamenti Reali) nr. 9291. Title: Papa Clemente XI visita il convento di San Paolo ad Albano Laziale. Date: 1710. Materials: oil on canvas. Dimensions: 49 x 99 cm. Nr. : 9291. Source: https://www.flickr.com/photos/mazanto/16851462155/. I have changed the light, contrast and colors of the original photo. Caspar van Wittel – Musei Capitolini PC 74. Title: View of Tor di Nona. Date: c. 1700. Materials: tempera on parchment. Dimensions: 23 x 44 cm. Nr. : PC 74. Source: http://img-fotki.yandex.ru/get/9263/84064482.56/0_851d1_3887f87f_XXXL.jpg. I have changed the light, contrast and colors of the original photo. Caspar van Wittel – private collection. Title: Rome. 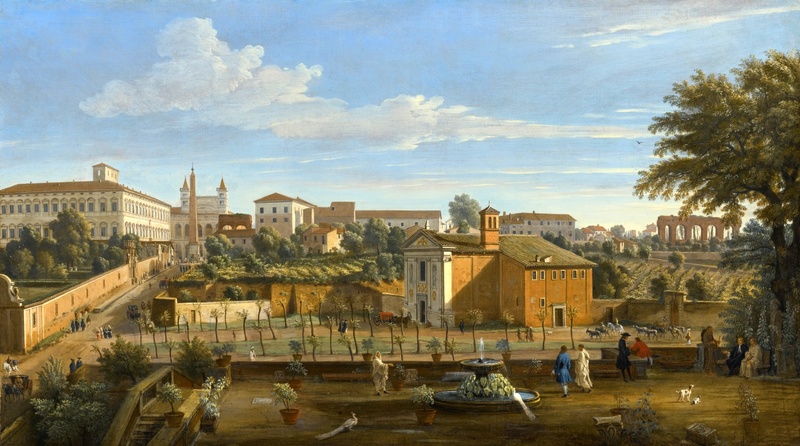 A View of the Church of Santi Marcellino e Pietro, from the Vigna Ciccolini, with the Palazzo Laterano, the Church of San Giovanni in Laterano, the Ospedale di San Giovanni and Ruins of the Claudian Aqueduct Beyond. Date: c. 1707-1710. Materials: oil on canvas. Dimensions: 75 x 132.8 cm. Auctioned by Sotheby’s, in New York, on January 28, 2016.. Source: http://www.sothebys.com/content/dam/stb/lots/N09/N09460/285N09460_5VW7B.jpg. I have changed the contrast of the original photo. Caspar van Wittel – private collection. Title: Florence. A View of the City From the Right Bank of the River Arno Looking Towards the Ponte Alla Carraia. Date: c. 1700. Materials: oil on canvas. Dimensions: 71 x 170 cm. Auctioned by Sotheby’s in London, on December 9, 2015. Source: http://www.sothebys.com/content/dam/stb/lots/L15/L15036/4043M09_6JQB9_in_new_frame.jpg. I have changed the contrast of the original photo.